I’ll be driving past tomorrow (Friday). Will you have some sprouted wheat available? Also – do you have any wheat berries for sale? Yes I have wheat berries available, and sprouted wheat loaves too. I’ll be here until 4:00 pm. 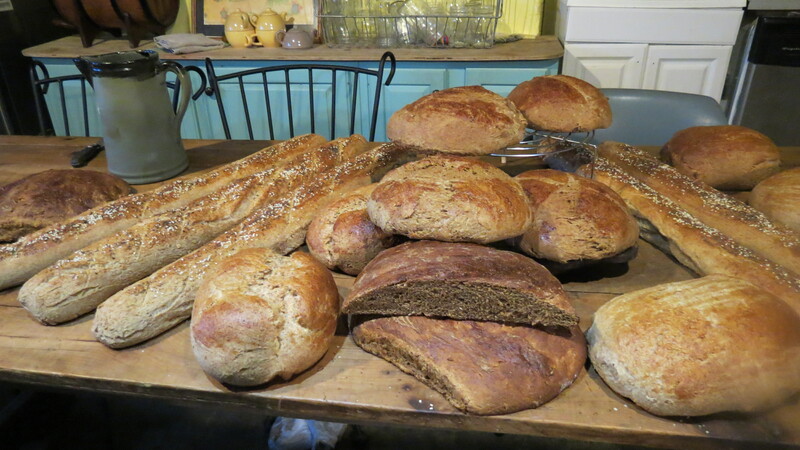 I would love to try a sprouted wheat loaf. are you still at Tristate Arts sometimes? We are there Tues eve. and Wed. at 4.Could connect there? Tracy B.
I am at Tristate on Tuesday at 5:30. I will be scouting a place for Cumberland this evening. If I find a location, I’ll be sure to post about it, and have fresh bread at least twice a week there. Sent you an email. I get off work at 5pm today but, would like to get some bread and maybe veggies?? ?